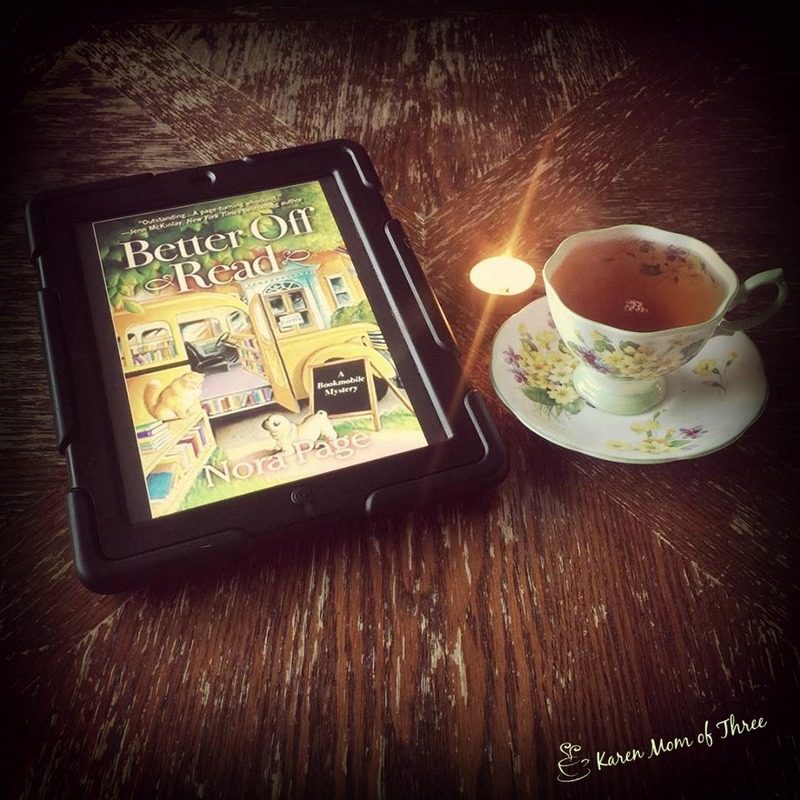 I have very strong and mixed feelings about Better of Read by Nora Page, this book is coming out this June from Crooked Lane Books is written in away that made me so angry and frustrated with the main character Cleo's nemesis the town Mayor, that I wanted to throw the book across the room. Nora does a brilliant job of making you despise the town's mayor, and will have you seeing red! I love the idea of this book and series, I love that the main character is in her mid seventies and I love the setting of the book. I struggled with the storyline because I was so mad at the character of the Mayor though. 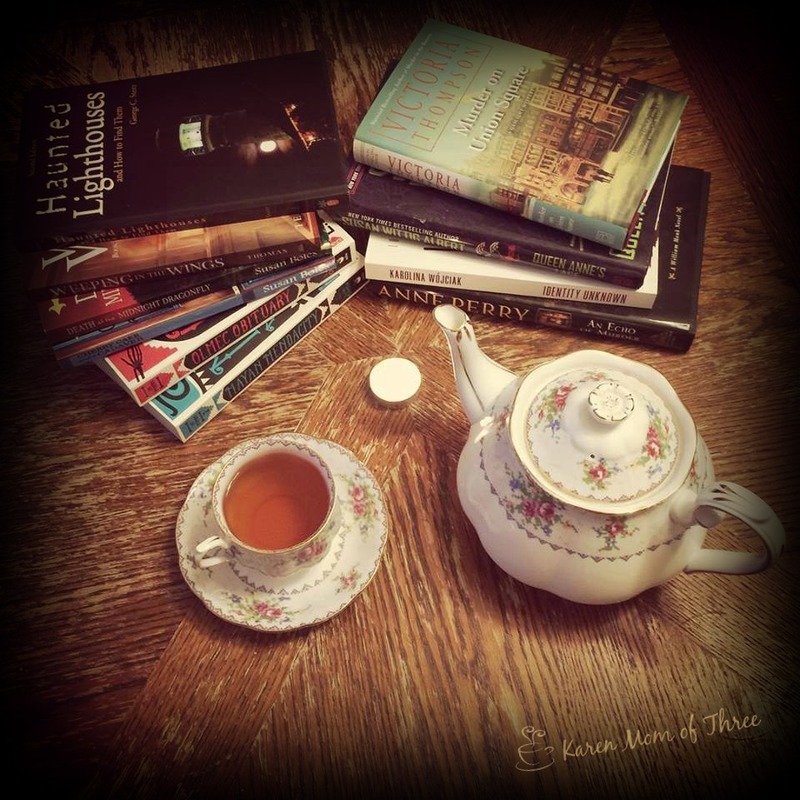 I can't remember when a cozy mystery had me so riled up! I hope you enjoy Better off Read. I do love the cat and pug in this book! When her best hope of saving her storm-damaged library is found murdered, senior librarian Cleo Watkins hits the road in her bookmobile in search of justice.Septuagenarian librarian Cleo Watkins won’t be shushed when an upstart young mayor threatens to permanently shelve her tiny town’s storm-damaged library. She takes to her bookmobile, Words on Wheels, to collect allies and rally library support throughout Catalpa Springs, Georgia.However, Cleo soon rolls into trouble. A major benefactor known for his eccentric DIY projects requests all available books on getting away with murder. He’s no Georgia peach, and Cleo wonders if she should worry about his plans. She knows she should when she discovers him bludgeoned and evidence points to her best friend, Mary-Rose Garland. 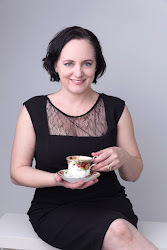 Sure of Mary-Rose’s innocence, Cleo applies her librarian’s sleuthing skills to the case, assisted by friends, family, and the dapper antiquarian bookseller everyone keeps calling her boyfriend. Evidence stacks up, but a killer is overdue to strike again. 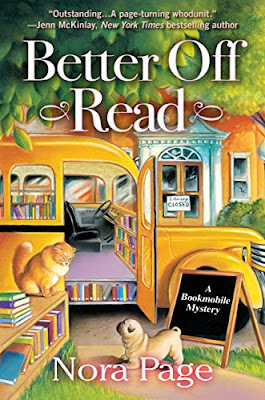 With lives and her library on the line, Cleo must shift into high gear to close the book on murder in Better Off Read, the charming Bookmobile series debut by Nora Page. 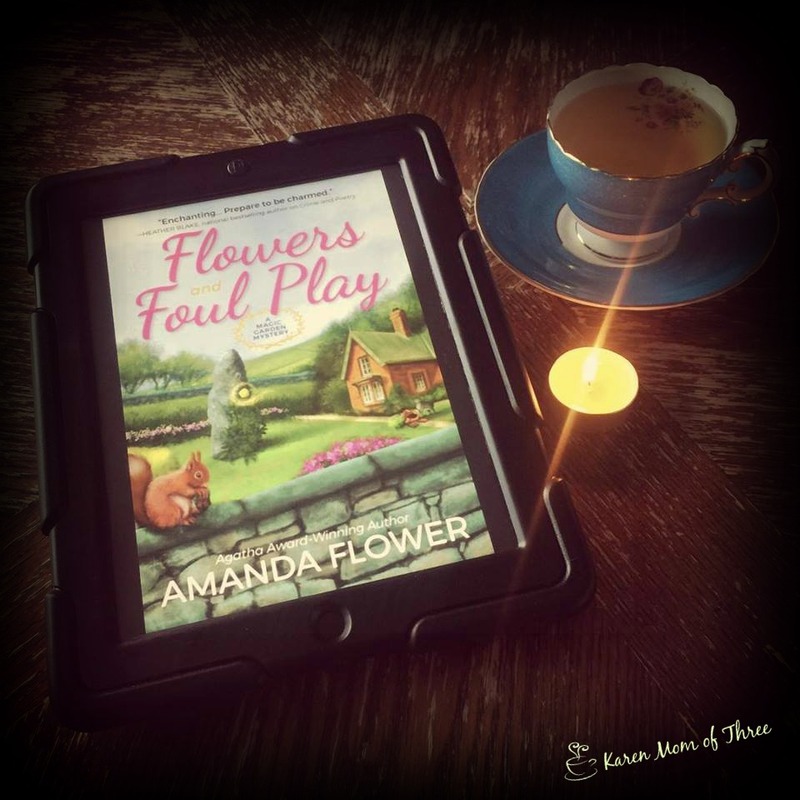 I read Amanda Flower's May release Flowers and Foul Play last week and I loved this new first in series! Set in Scotland and with a magical twist this is story that I found very easy to get into and a main character that was easy to like. In the book Fiona's life has come to a cross roads and though she is reluctant to slam the door and move on, all signs point to her ever happiness being found in Scotland. Her Godfather has left her a rather muddled mystery and magical garden, ancient grounds keeper and a secret. This book features a small town in Scotland with a tea shop that I feel like I could move right into. Amanda Flowers has a fan in me with this new Magical Garden Mystery and series. Fiona Knox lost her fiancé and her flower shop―but when she flies to Scotland to inherit her godfather’s cottage and possibly magical walled garden, she may lose her life as well when she’s swept into a murder investigation.Florist Fiona Knox’s life isn’t smelling so sweet these days. Her fiancé left her for their cake decorator. 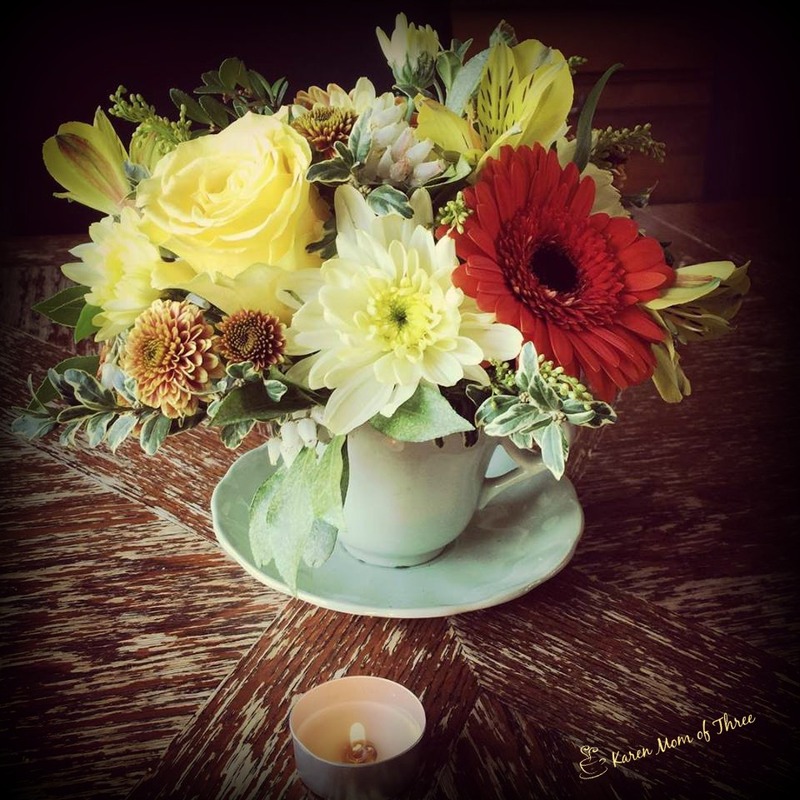 Then, her flower shop wilted after a chain florist opened next door. So when her godfather, Ian MacCallister, leaves her a cottage in Scotland, Fiona jumps on the next plane to Edinburgh. Ian, after all, is the one who taught her to love flowers. But when Ian’s elderly caretaker Hamish MacGregor shows her to the cottage upon her arrival, she finds the once resplendent grounds of Duncreigan in a dreadful shambles―with a dead body in the garden.Minutes into her arrival, Fiona is already being questioned by the handsome Chief Inspector Neil Craig and getting her passport seized. But it’s Craig’s fixation on Uncle Ian’s loyal caretaker, Hamish, as a prime suspect, that really makes her worried. As Fiona strolls the town, she quickly realizes there are a whole bouquet of suspects much more likely to have killed Alastair Croft, the dead lawyer who seems to have had more enemies than friends. 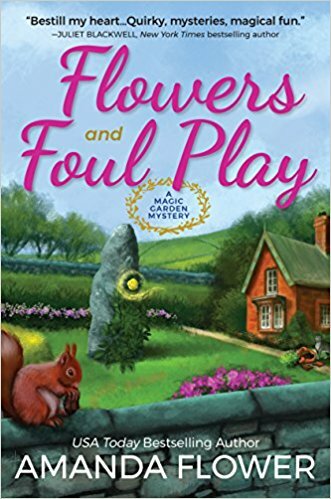 Now it’s up to Fiona to clear Hamish’s name before it’s too late in Flowers and Foul Play, USA Today bestselling author Amanda Flower’s spellbinding first Magic Garden mystery. Flowers and Foul Play is out May 8th from Crooked Lane Books and you can find it on Amazon.com by clicking here. So much has happened this week and a highlight for me other than my birthday was the birth of the new prince. With Prince Louis of Cambridge name reveal yesterday we can all move on and wait for the Royal Wedding in less than a month. I am truly excited. I had my birthday this week and some lovely wishes, guests and food! I have had some great books to read this week as well. May is looking like a fantastic month of releases coming up. I have had some great first in series on my table this week. With reviews coming up in the next few days. 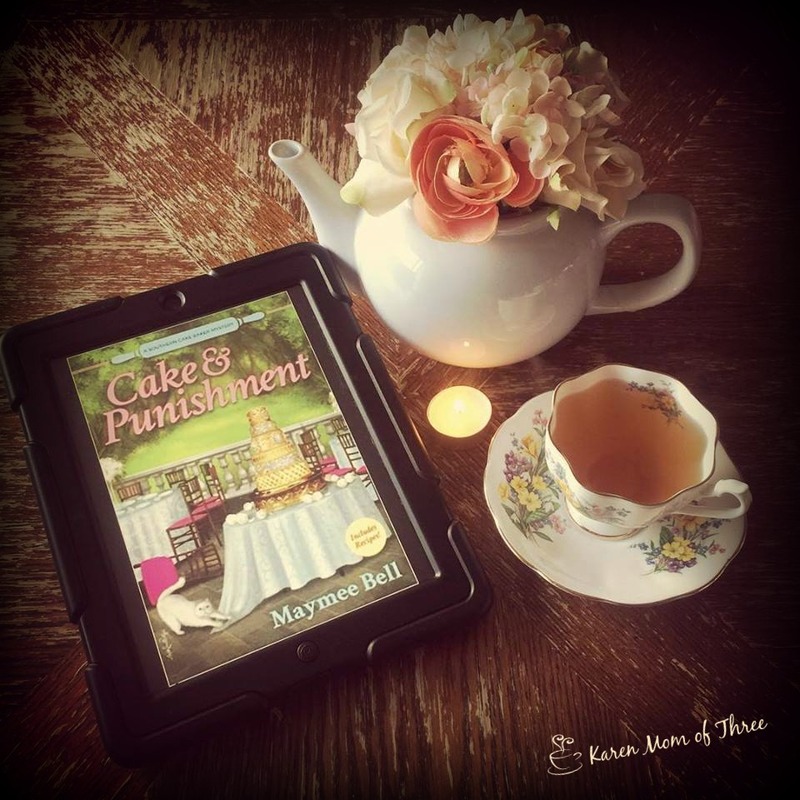 I am over the moon with Cake & Punishment! This week I have had the truly best birthday surrounded by family and friends. 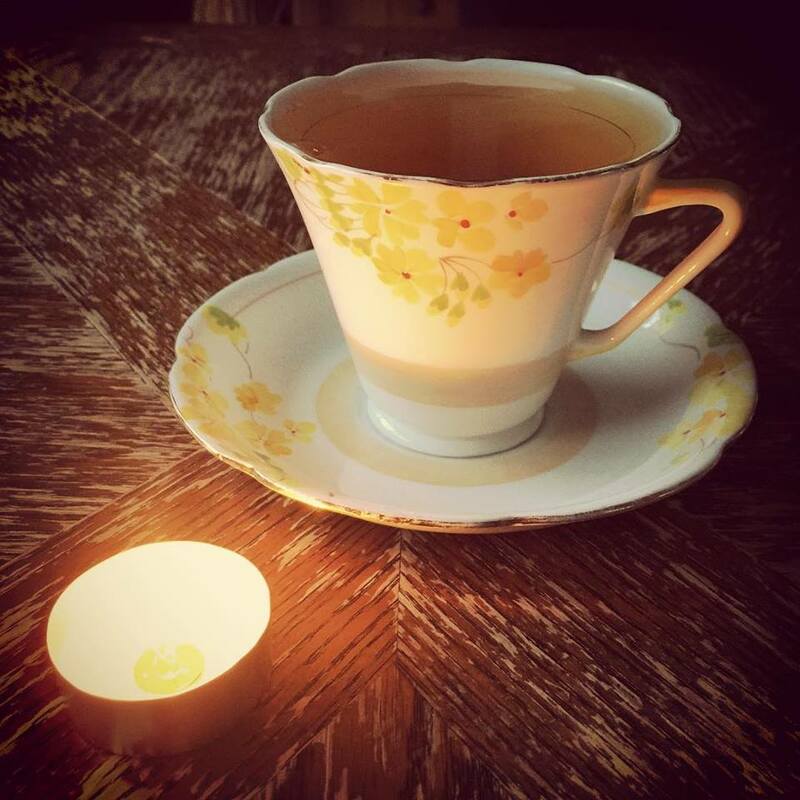 I even connected with an old and dear friend, which was a lovely gift in itself. 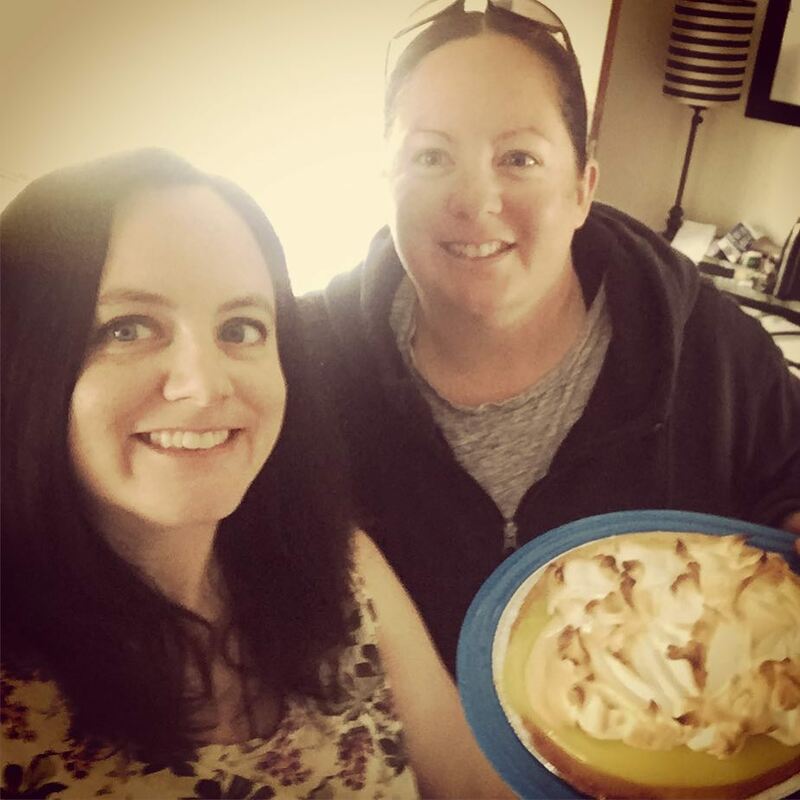 My sister (right) brought me my Lemon Pie Birthday Tradition before 8 am, she kindly took this job upon herself in 2011 after my mom passed away. She now carries the tradition on and I am thrilled and stuffed. Remember my stand from yesterday? See how perfectly it pairs with my birthday theme? 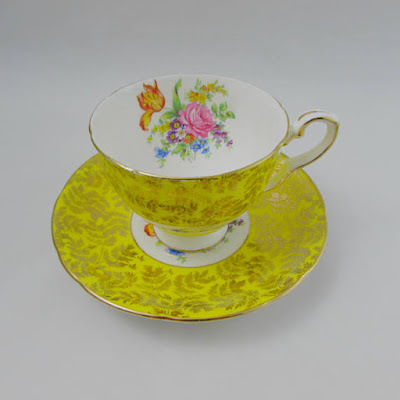 Today's Fancy Friday Finds are lemon themed as I am still enjoying my birthday and hoping to share that joy with you. 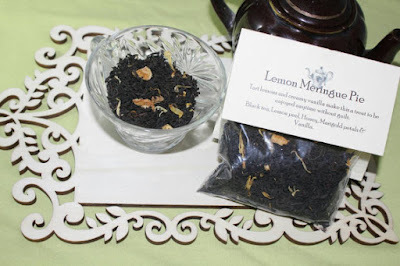 I do love a great lemon black tea and found this listing in Mrs. Murishouseoftea Etsy shop. Click here for shop and listing. 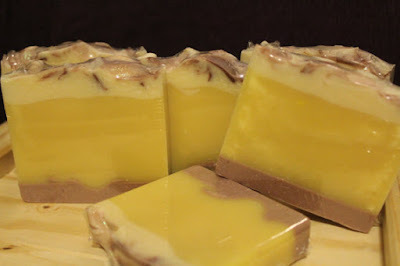 Lemon Pie Soap? 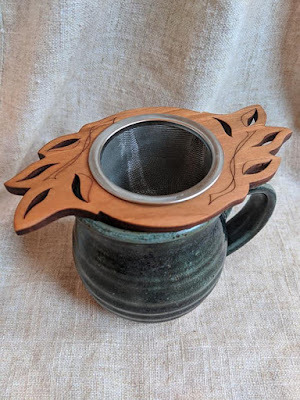 I love this idea and found this listing in the Lathered in Love Etsy Shop, you can find this listing by clicking here. Today is my birthday, I actually share my birthday with twin nieces who turn 11 today, I am a little older than 11 myself... 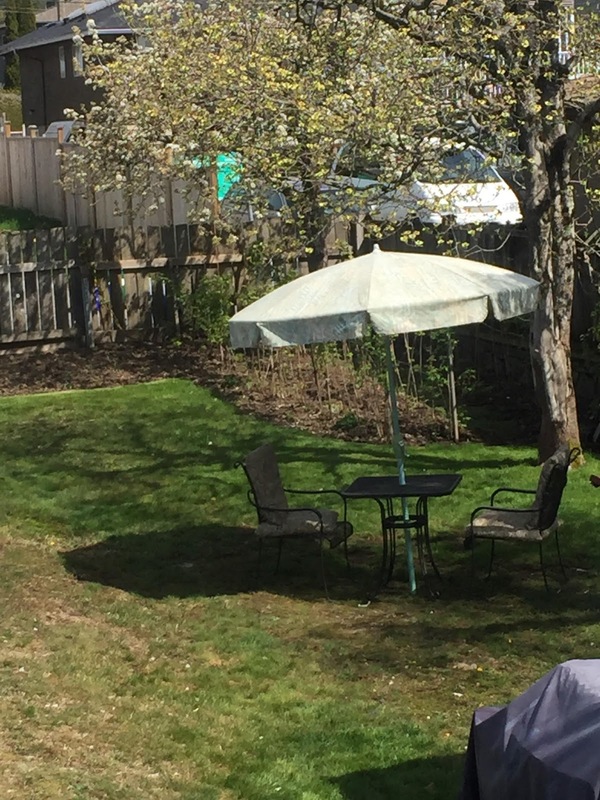 This week has been a great one weather wise and I managed to get the back yard into a place where I can sit and enjoy, entertain and ponder, and hopefully inspire me to write more. The warmer weather is welcome though the season allergies I could do with out. 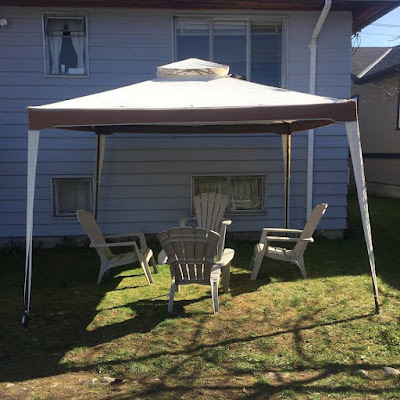 I put my tea tent up with a little help from two of my boys yesterday though I have not yet decorated it as I normally do, I am setting it up slightly different this year and my hope is to get some outdoor lighting for the tent this year. I got to hang clothes on the line as well this week. 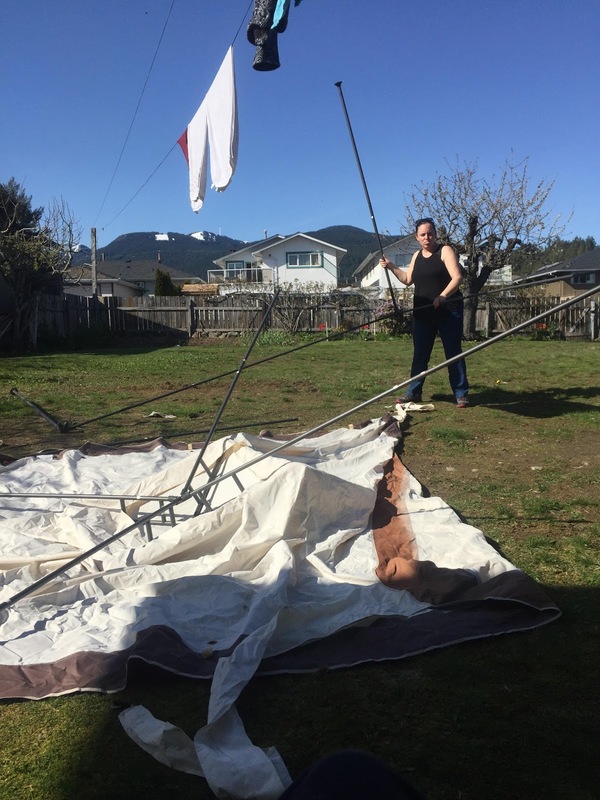 My 10 year old was helping by taking photos of the tent getting put up. Sadly this is me and I am sticking my tongue out at him. All in good fun, we have a beautiful view of the mountains from the tea tent as you may be able to see in the background of the photo. 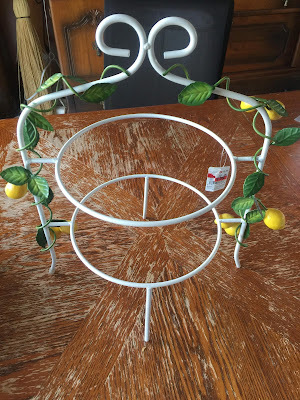 Tuesday morning stopped into a local Sally Anne Thrift store and found this lovely! 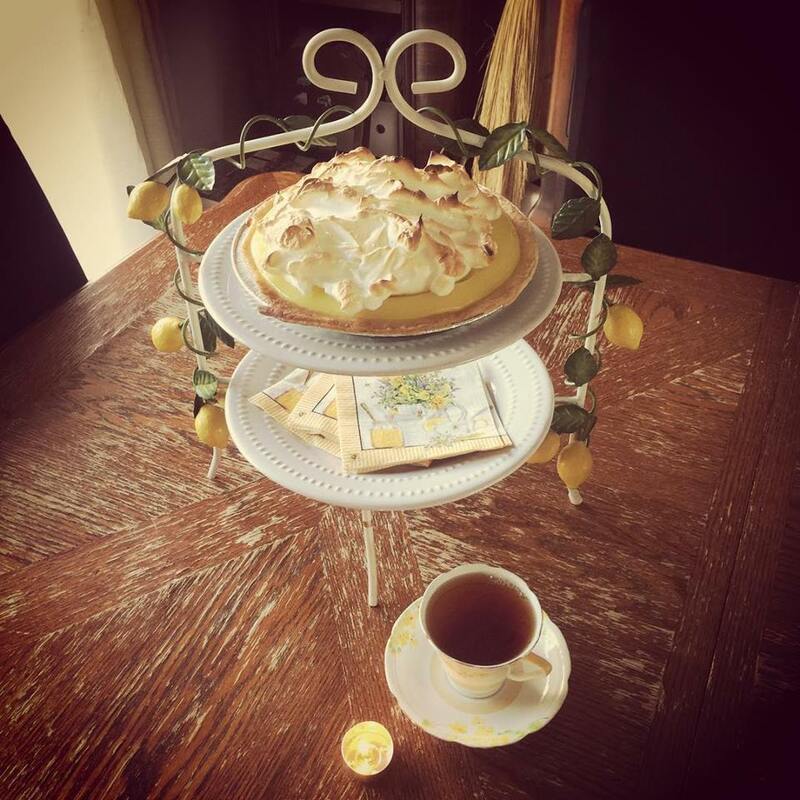 I love the lemons, my mother used to bake me a pie every year, a lemon meringue pie to be exact, so I could not let this $4.99 tea tray stay behind. My mom always made me pie because well we have lots of April birthdays and by the time mine rolled around we were all ready for something different. I will be having pie today, and cake too! I also bought this tea tray for $1.99 at Sally Anne as well. Ever since I was looking after my dad post op and his wonderful neighbor brought me dinner on a tray similar to this, I feel in love. 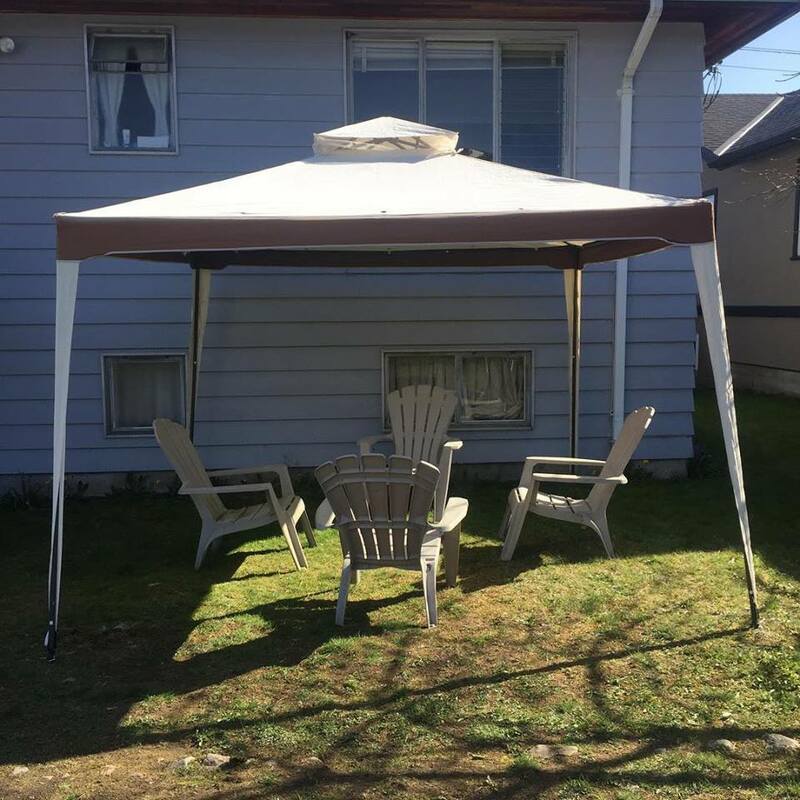 I am so glad I found this one and used it to bring my soup and sandwich down to my outdoor patio table and chairs for lunch Tuesday. 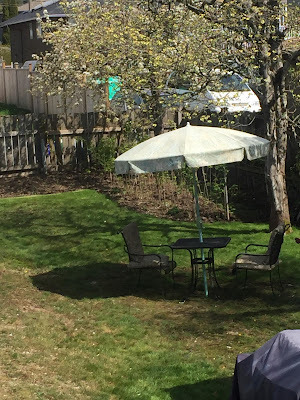 Instead of putting the small table and chairs under the tea tent this year I put them near the raspberry bushes, it's lovely there at lunch time. 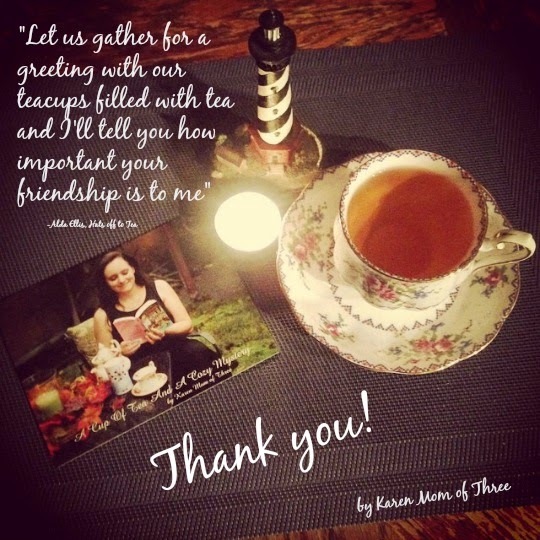 Thank you for joining me today for a cup of tea and for sharing a bit of my birthday week with me. If I could give an award for the coolest Murder Weapon ever used in a cozy it would be to Tonya Kappes. 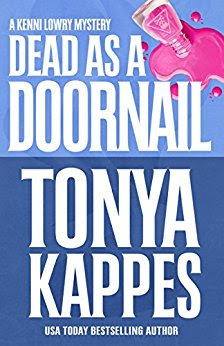 I loved Dead as a Doornail. This May release doesn't disappoint and with Sheriff Kenni her Deputy Ghost, trusty dog and small town already and usually in Chaos, somehow sheriff has her hands full with not just a murder investigation but a wedding of the year, brazilia and duties that fall far outside her job description. This was a great read and it is a fun series. 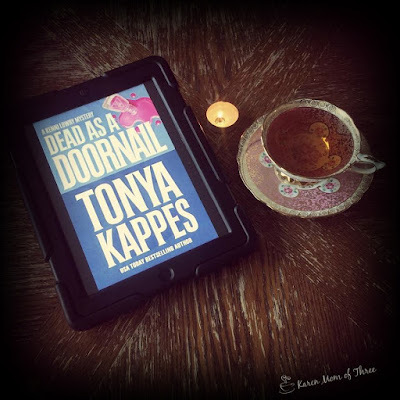 Tonya Kappes is a wonderful author. Perfect touch of southern charm, the perfect paranormal character and the right amount of romance. A must read. Beauty is skin deep, but ugly goes clear to the bone. And doesn’t our Sheriff Kenni Lowry know that? Well, she knows a lot of things.Lucy Lowell takes great pride in writing negative reviews in the local newspaper for anything that does not go her way. When Lucy is found dead, it appears to be from natural causes. But Sheriff Kenni Lowry knows there is more to it because the ghost of her grandfather, the ex-sheriff, is standing over the body. His presence can only mean one thing: Murder!Since Kenni’s relationship with Deputy Finn Vincent has heated up, Kenni is having trouble conducting the investigation without Finn questioning her every move. Can Kenni unravel the mystery on her own or will she have to tell Finn the real reason she knows it was murder—the ghost of her poppa?It’s blowin’ up a storm and only Kenni knows how it’ll end. This one is out May 15th by Henry Press. Click here for the listing on Amazon. 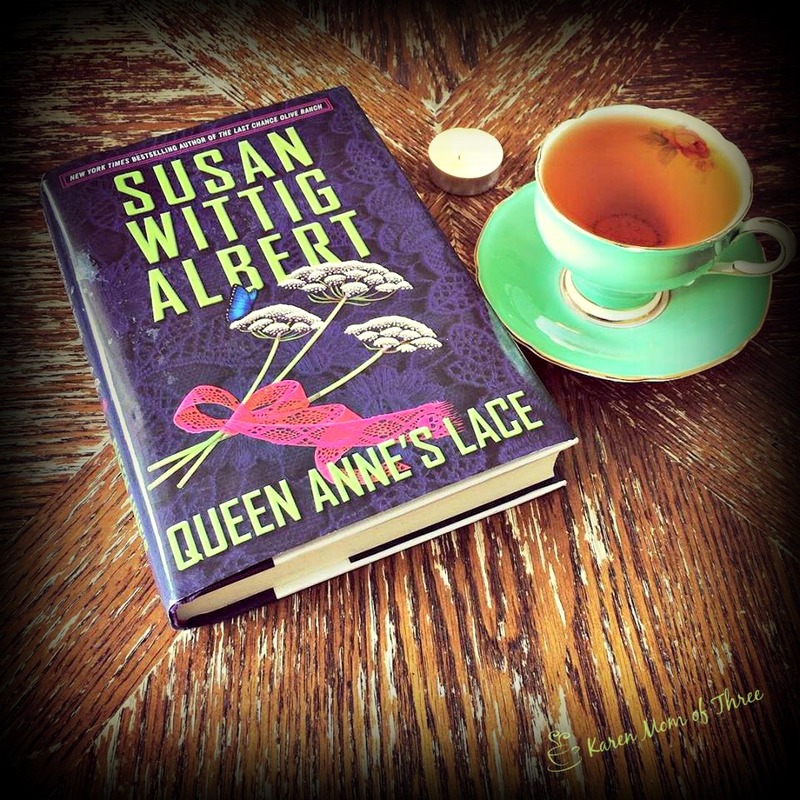 I had no idea what I was getting into with Queen Anne's Lace, this is the first Susan Wittig Albert mystery I have ever read and it was very good. This book was clearly very well researched and I enjoyed the flashbacks and forwards between the chapters, how Susan manages to tie it all together and how the mysteries are connected. Life has so many unexpected twists and turns and I felt like Susan did an amazing job of making me feel like I was in two places in time at once. The main character China, has a building with a tea room, a spice shop and a crystal shop and a b&b? I felt like I could move right in, I would be one of China's best customers for sure. 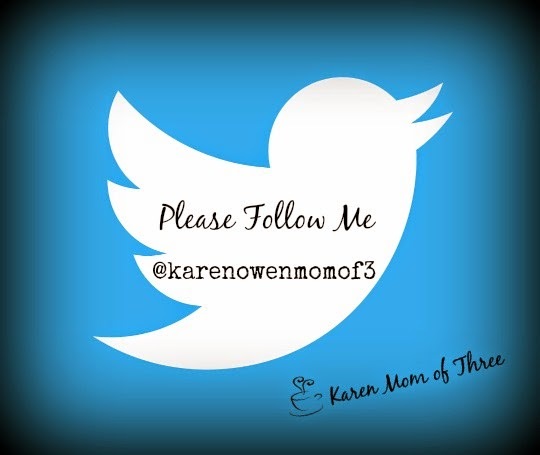 I loved the Ghost, the Chickens and the mayhem! A great read! 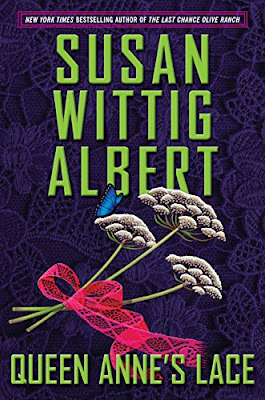 A present day ghost leads China Bayles to a secret from Pecan Springs's past in this haunting mystery from New York Times bestselling author Susan Wittig Albert.While helping Ruby Wilcox clean up the loft above their shops, China comes upon a box of antique handcrafted lace and old photographs. Following the discovery, she hears a woman humming an old Scottish ballad and smells the delicate scent of lavender.... 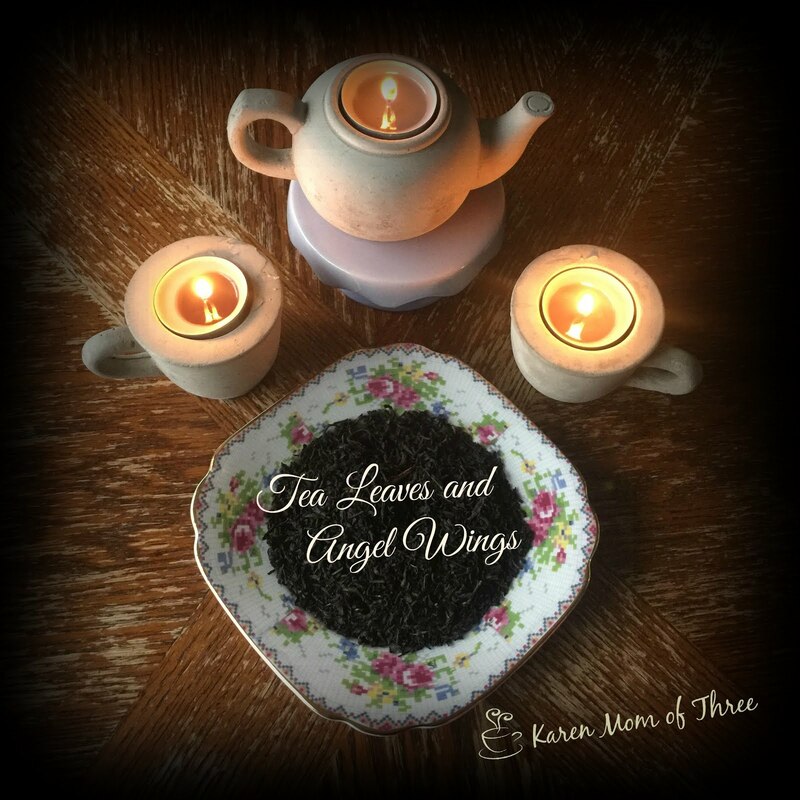 Soon, strange happenings start to occur in Thyme and Seasons: misplaced items, a ringing bell, and the appearance of lavender sprigs in odd places. When a customer mentions seeing a mysterious woman picking flowers nearby and then suddenly disappearing, China must finally admit what Ruby has always known--their building is haunted. But by whom?As China investigates, the tragic story of a woman in one of the old photographs unfolds. Annie Laurie was a young widow who'd lost both her husband and her child in the same day. She manages to survive through her lace-making business and finds happiness again only to have a suspicious death overshadow her new life.China delves into Annie's century-old mystery and realizes that solving it could have unimaginable repercussions in the here and now. If you have not yet discovered Aurallee Wallace's Otter Lake Mystery Series and you are looking for a hilarious and fun cozy mystery series then this is the series for you. I have loved each and everyone of these books and Down The Aisle With Murder had me laughing out loud, smiling and feeling like I was away at summer camp. The best friend in this series Freddie has me in stitches and Erica is one of the best flawed and funny characters I have ever read. Otter Lake sounds like the perfect place to be year round and with characters that feel like family and close friends. 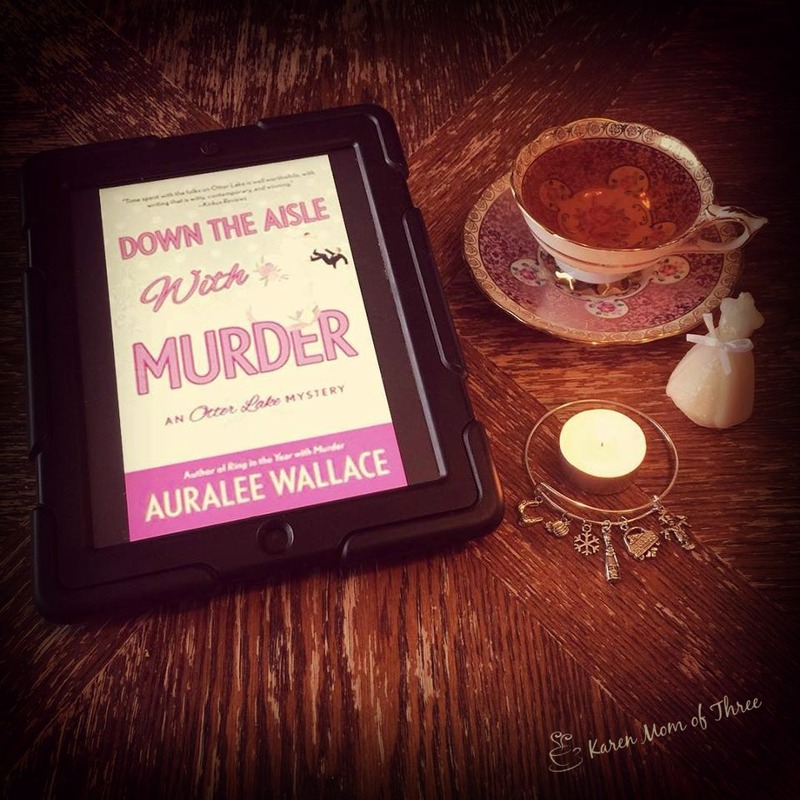 In Down the Aisle with Murder Erica and Freddie have their hands full with investating and wedding planning. This is a great weekend, beach read or armchair escape and I loved it. Some wedding stories are so bizarre that you can't even make them up. 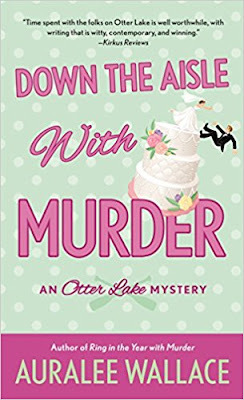 Take Erica Bloom's latest case of an Otter Lake bride whose BFF is MIA at the time she's supposed to perform her duties as maid of honor. ..only to be found DOA. Erica and her security team—minus her beloved Grady, who's on vacation, trying to stay out of town business and has a no-nonsense sheriff covering for him—have followed every possible lead to find out what really happened to the young woman. Is her death the result of a bachelorette party gone wildly wrong? Or did someone with cold feet snap—and turn into a cold-blooded killer? These are the questions that must be answered for the nuptials, which at the eleventh hour receive a dramatic makeover, to go off without a hitch…before 'til death do us part. This one is out May 1st and you can find it on Amazon by clicking here. on Tuesday last week and I had requested it because it said it was a witch cozy, and I love witch cozies most of the time. 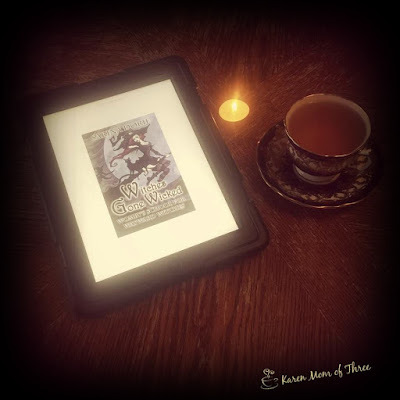 It is not that I did not enjoy this book, I actually could not put it down but it read more like a guilty pleasure with cozy overtones and it was more fantasy than anything else. I wanted to not like it when I was reading it because I had a preconceived idea of what I think a true witch themed cozy should be and this is really not. That being said this read like a really great fan fiction of Harry Potter, and a touch of a Harlequin Romance with way more curse words than I truly would have liked but still I could not put it down. 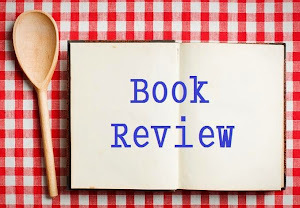 I liked and at times identified with the main character, the setting was a bit out there but you have to love a book that has mischief, missing answer keys, plot twists and feral unicorns. All in all it was a departure from what I was used to reading and I liked it. Out of my comfort zone a little but worth the read. You think you know the world of magical boarding schools? Not from a teacher’s perspective at a school for at risk youth. 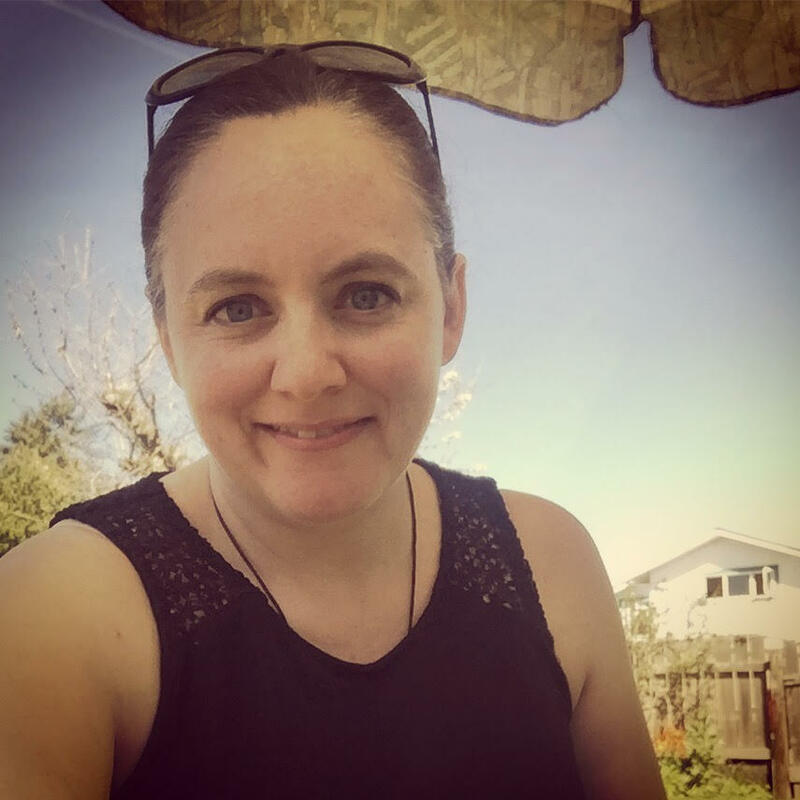 Like any twenty-two-year-old who grew up obsessed with fantasy novels, Clarissa Lawrence expects all her Harry Potter fantasies to come true when she is invited to teach at a school for witches. Her dreams of learning magic—and being a good teacher—are complicated when she finds out her deceased mother was the equivalent of the Wicked Witch of the West. As if being the new “arts and crafts” teacher isn’t hard enough at a school for juvenile delinquent witches, budget cuts are just as severe in the magic community, administrators are as unrealistic in their expectations of teachers, and the job is a hazard if the students find out you can’t actually do magic. Amidst all these challenges, Clarissa must prove she’s not her mother’s mini-me and that she belongs at the school so she can learn to control her powers. If she fails, her powers will be drained, or worse yet, she might be enslaved by the Fae. As if this isn’t enough pressure, she has to figure out why teachers are mysteriously disappearing. If she doesn’t, she might be next. 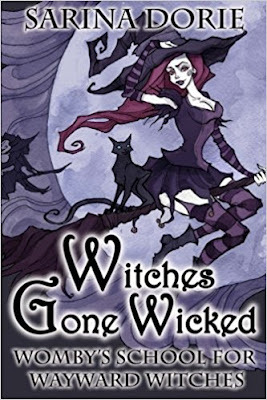 I had some books I could not put down and Witches Gone Wicked is going to be reviewed tomorrow. Watch for this one. 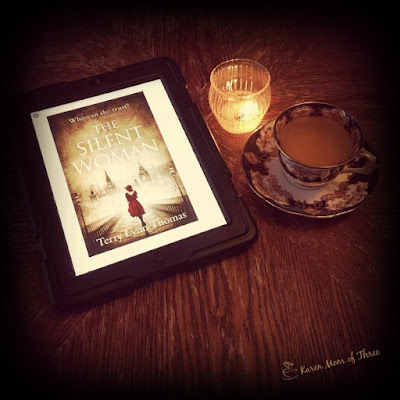 Oh Terry Lynn Thomas' book had me transported in time. I loved this one and I know you will too. 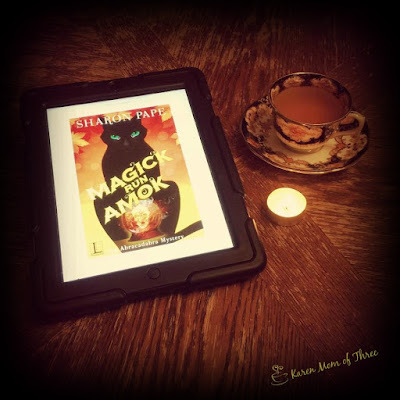 Magick Run Amok by Sharon Pape was also a great escape and read. 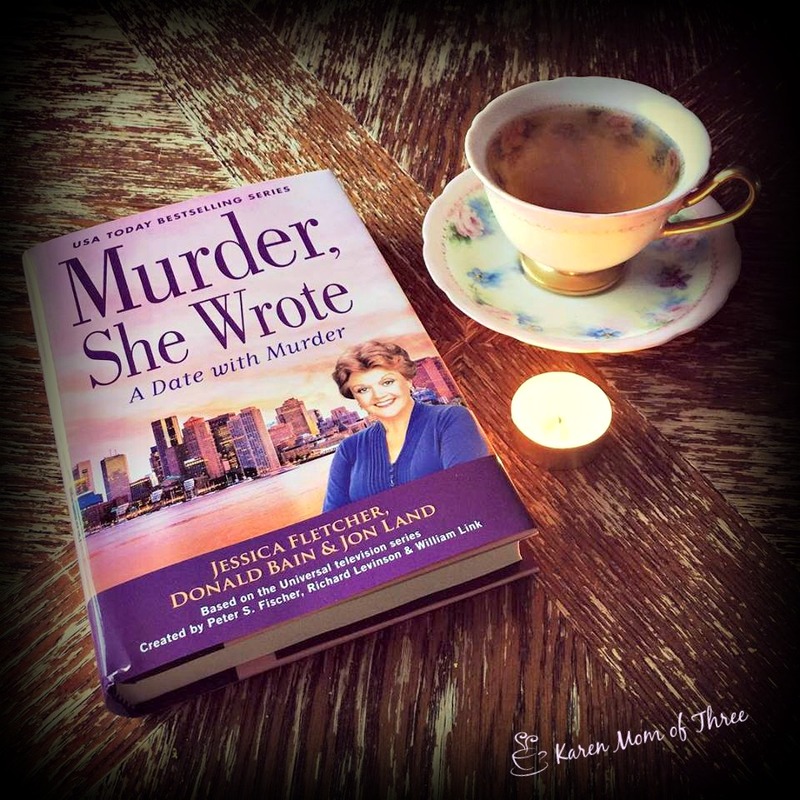 Arrived safely in the mail to review this week is Murder She Wrote, I did not request this one but I will do my best to get to it shortly. I love the cover and it is such a great series I consider myself very lucky. 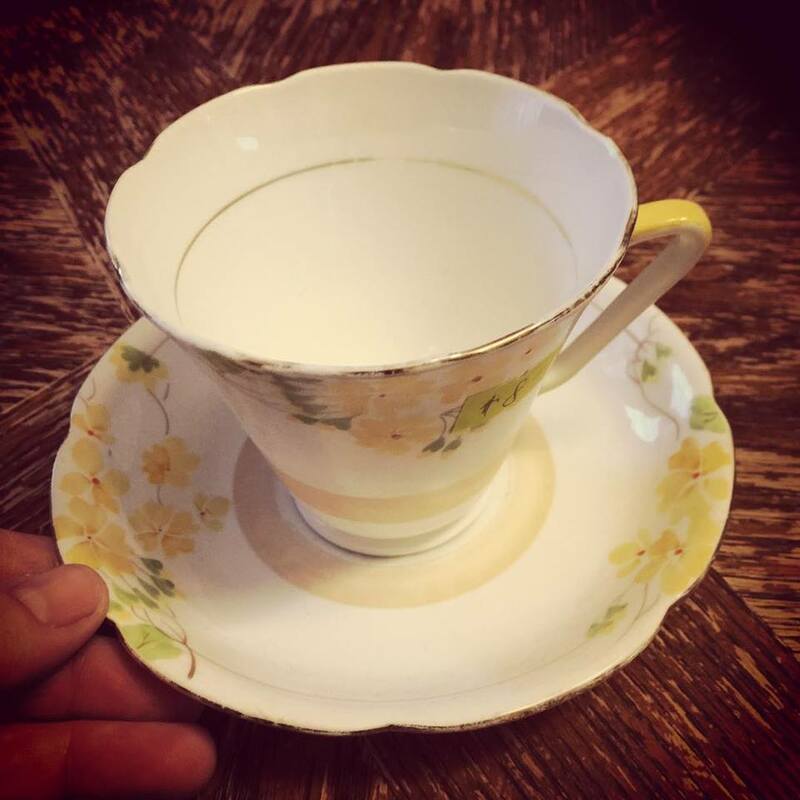 I found a lovely well used teacup with yellow flowers at the hospital thrift store this week. A lovely cheerful Royal Grafton teacup and saucer rescue from the local hospital charity shop. The inside gold and rim are faded and worn with age. Meaning this was once a treasured and cherished set. Just the way I like it. 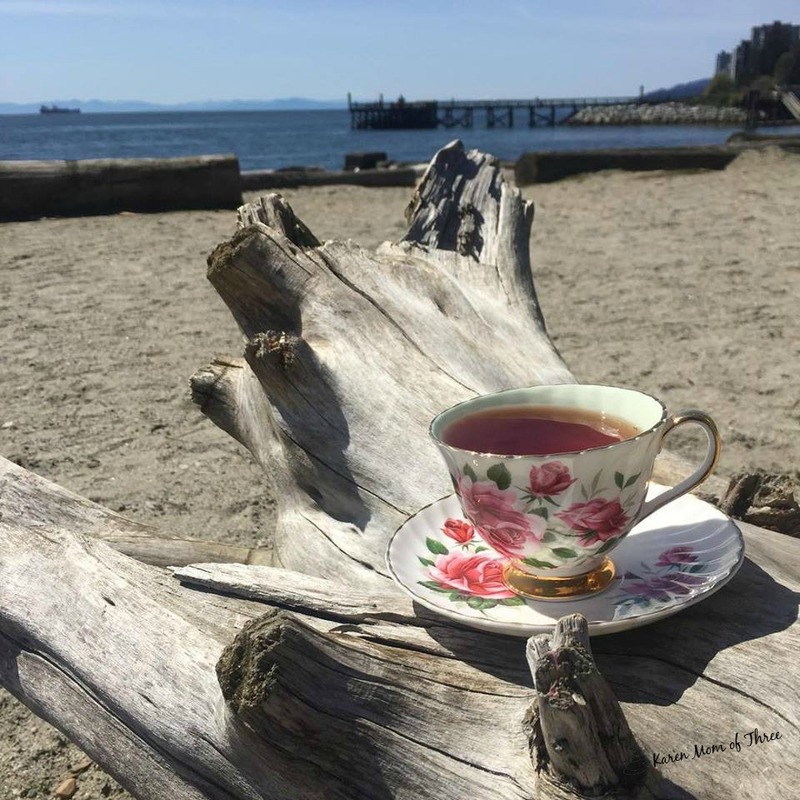 Oh the stories this cup could tell, tales of comfort, celebration and quiet reflection. It feels pretty great to have it on my table and being used again. I hope you have a lovely weekend. I am off to baseball and if I am very lucky some time to read and write later today. This past week I sent out my tea swap and was looking for some creative ideas for sending tea care packages and I found some great ideas on Etsy. 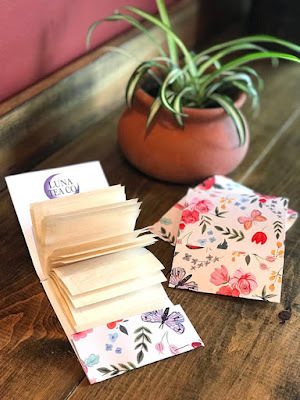 I love this idea, A matchbook that contains tea bags for your loose leaf tea. The Luna Tea company sells these adorable filters in their etsy shop which you can find by clicking here. Next up are tea nests made with wood and really lovely, made in the USA by the Albion Tea Company These are truly unique and beautiful. 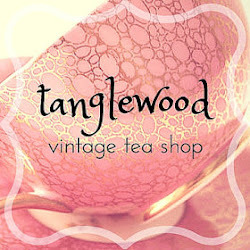 Click here for Etsy listing and to view the website. 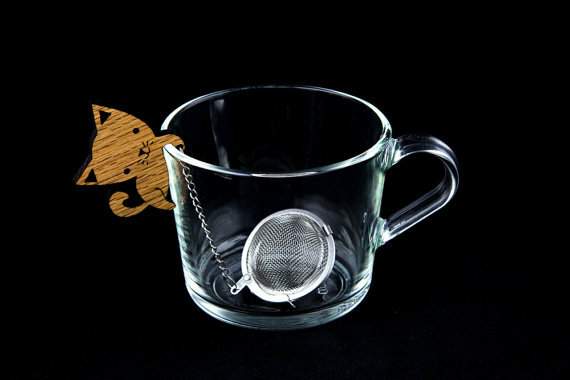 These tea buddy tea balls caught my eye and I love how the kitten hands on the side of the mug. Offered by the Other Lab's Etsy Shop this would make a charming tea gift for a tea and kitten lover. 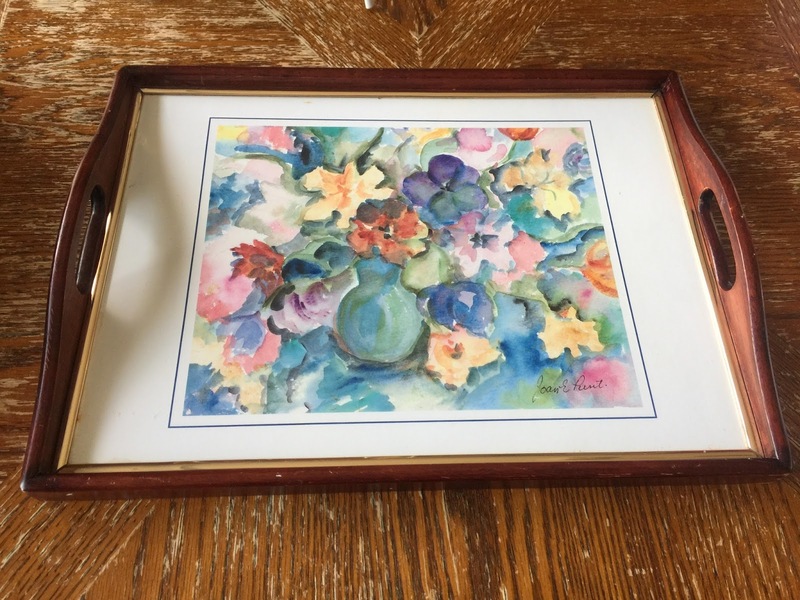 Click here for shop and listing. The warm welcome they receive from Miriam Didión (a widowed human rights activist) sets an ideal tone for life in their delightful shoreline neighborhood. By the time Natalie throws Keoni a birthday party, she has become close to Miriam and her personable housemates Joanne and Izzy, and their new housekeeper Samantha. Even Miss Una, Natalie's feline companion, has embraced the women who live next door, as she keeps watch over their property each night. Unfortunately, the bliss of seaside living evaporates when Natalie experiences a horrifying vision of a scuba diver garroting a woman. 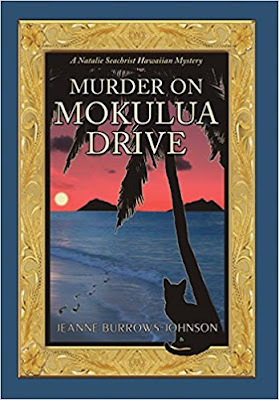 The following morning a body is discovered in the neighbor's maid's quarters and Natalie is forced to reveal her murderous vision to Keoni's former partner, Honolulu Police Detective John Dias. Hoping her unique skills will again prove useful, the Lieutenant asks Natalie and her twin Nathan (a psychologist) to examine the victim's journals. The decades-long commentary proves fascinating although it yields no clues. 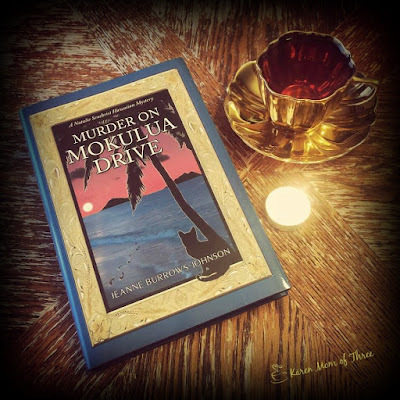 But when a nefarious suspect's body is found at Diamond Head Beach, the case appears solved. Believing that her life of semi-retirement is back on track, Natalie plans a tour of historic Kawai Nui Marsh. Too soon the day of playing tourist devolves into a nightmare. When Keoni points out the possibility of an unexpected threat Natalie realizes that she and her new friends are caught in the cross hairs of a dangerous adversary. Does resolution of the gruesome murder lie in the deceased's transnational past? Or in the visible present among innocuous seeming companions? I love Texmex, how can you not? 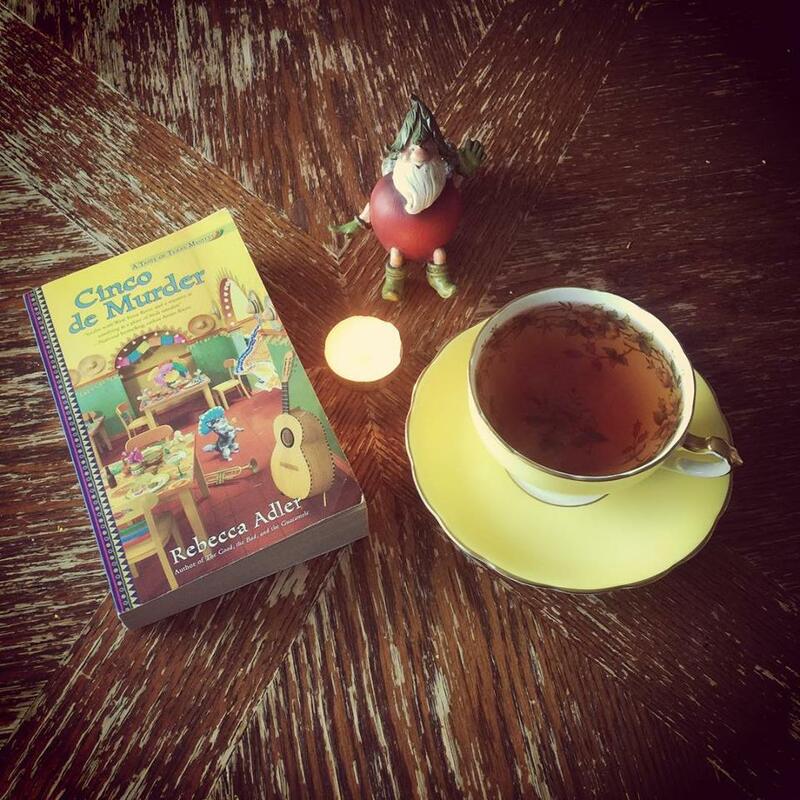 Cinco de Murder by Rebecca Adler is about more than family, more than mystery and more than food. But there are some great recipes in the back of this one. I liked the premise of this cozy and this the third book in the Taste of Texas series will not disappoint fans of this series. A fun and feisty family, great town and out now! 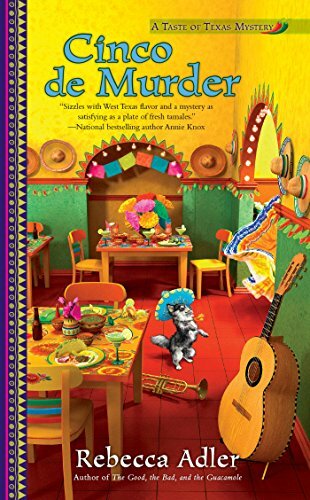 Tex-Mex waitress and part-time reporter Josie Callahan serves up more Lone Star justice in this spicy mystery from the author of The Good, the Bad, and the Guacamole.It's fiesta time in Broken Boot, Texas, and tourists are pouring into town faster than free beer at a bull roping for the mouthwatering Cinco de Mayo festivities. Tex-Mex waitress Josie Callahan, her feisty abuela, and even her spunky Chihuahua Lenny are polishing their folklórico dances for Saturday's big parade, while Uncle Eddie is adding his own spicy event to the fiesta menu: Broken Boot's First Annual Charity Chili Cook-off.But Uncle Eddie's hopes of impressing the town council go up in smoke when cantankerous chili cook Lucky Straw is found dead in his tent. And when Josie's beloved uncle is accused of fatal negligence, she, Lenny, and the steadfast Detective Lightfoot must uncover who ended the ambitious chilihead's life--before another cook kicks the bucket. Oh My where to start, The Silent Woman by Terry Lynn Thomas, wow. 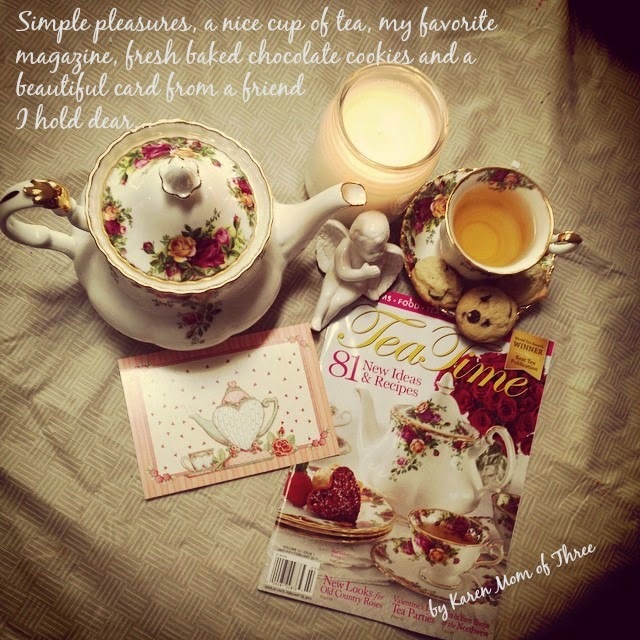 I did not want to put it down and when I did I felt so guilty and desperately wanted to get back to it. Do not try to adult while reading this book. I promise you are going to want to sit and read this in one sitting. You are going to want to shut the world off while you devour this spy mystery. Set in England, just before the second world war there is so much historial intrigue and mystery in this one, that it reads like a more serious version of a Rhys Bowen novel. I found that while this story was not technically a cozy it made me feel quite cozy in the end. I found that the main character "Cat" was completely relatable, her unassuming nature and the feelings of being stuck because of her place in society was palpable. Her heartache and loss struck a chord with me and endeared her to me almost immediately. There are some truly great twists in this book, historical hierarchy and great questions raised about British and German society. I absolutely loved this book. The imagery that the words written by Terry Lynn Thomas wrote will stay with me for a long time to come. If you are a cozy mystery fan, a historical mystery fan this is a great read for you. Mystery, intrigue and a must read. This book is out now and I love the cover! I thoroughly enjoyed Read Herring Hunt! I have no idea how V.M. 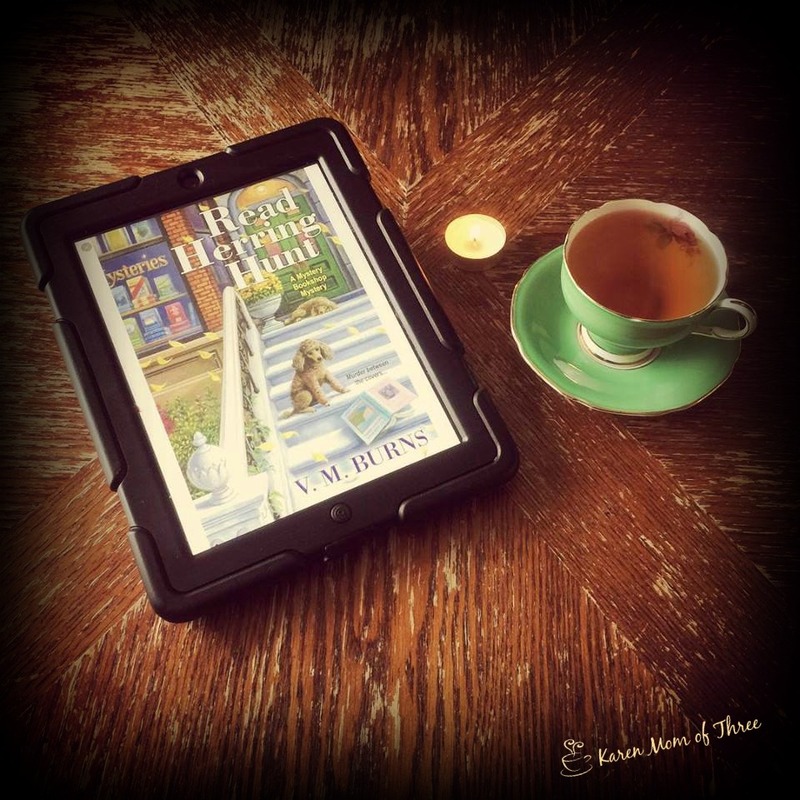 Burns does it but in this book you get two very different and wonderful cozy mysteries. I am in awe of her writing talent and I could not put this book down. There is something so wonderful in the way that main character Sam has taken so many painful things in her life and found a way to start moving on, even under the most imposible of circumstances. I love her relationship with her Grandmother, and the way her employee has become like family to her. You get this deep feeling of love and family in this story, love that stands the test of time, disease, anger and anguish. A great group of supporting characters and two wonderful little dogs. I loved this book and I am excited ready for book three! 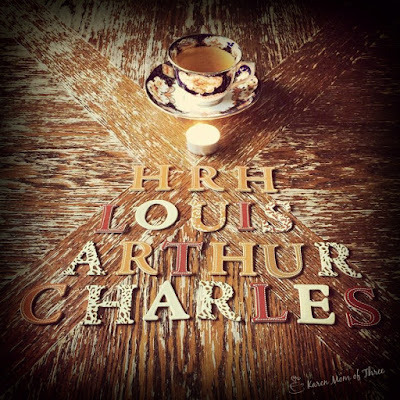 This one is out April 24th, so you don't have long to wait! Mystery bookstore owner Samantha Washington is about to find out it's not so easy to play Monday morning quarterback when it comes to murder. . . To the town of North Harbor, Michigan, MISU quarterback Dawson Alexander is a local hero. To Samantha Washington, owner of the Market Street Mysteries Bookstore, Dawson is more than a tenant—he’s like an adopted son. But to the police, he is their prime suspect after his ex-girlfriend is found murdered. It’s more than enough real-life drama for Sam to tackle, but her role as a mystery writer also calls. 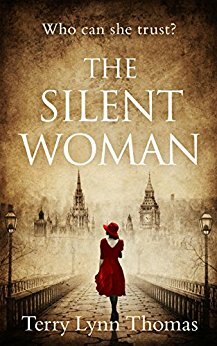 Returning to the English countryside between the wars, she finds Lady Daphne Marsh in quite the quandary. Someone has tried to murder the scandalous American divorcée Wallis Simpson, for whom Edward VIII so recently abdicated his throne. It seems finding a suspect is no small challenge when most of England has a motive . . . 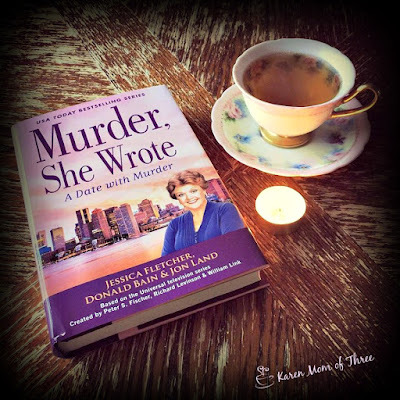 While Sam’s lawyer sister Jenna rushes in to build Dawson's defense, Sam and her lively grandmother, Nana Jo, huddle up to solve the mystery and blow the whistle on the real killer. 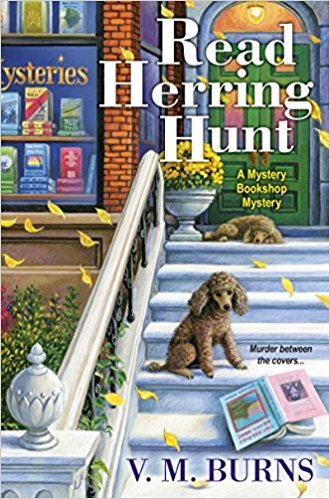 With the tenacious members of the Sleuthing Senior Book Club eager to come off the sidelines, Sam and her team just might stop a killer from completing another deadly play . 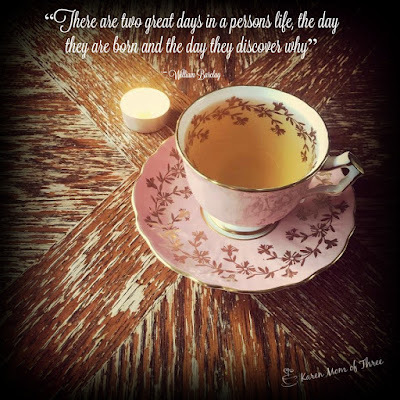 . .
Release Day Party for Death By The Sea is today!